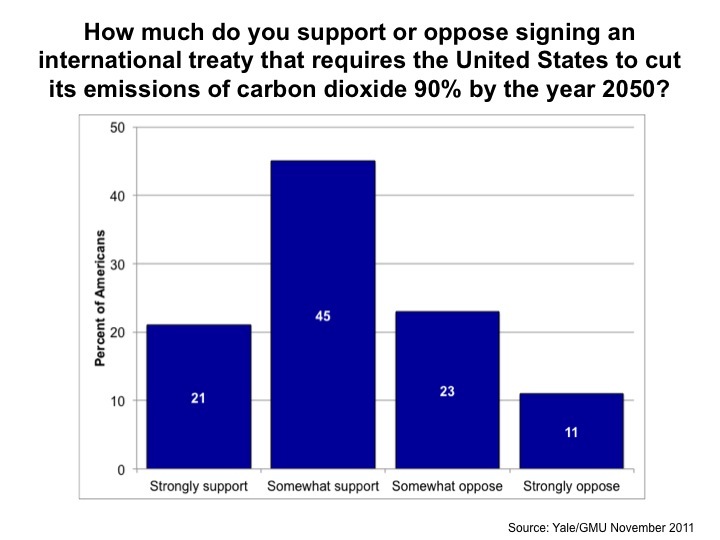 Home / Publications / Do Americans Support an International Treaty on Climate Change? Do Americans Support an International Treaty on Climate Change? On December 11 at the Durban (South Africa) Conference on Climate Change, the world agreed to extend the Kyoto Protocol and begin negotiations on a new global treaty that will require all countries (developed and developing) to reduce their greenhouse gas emissions. 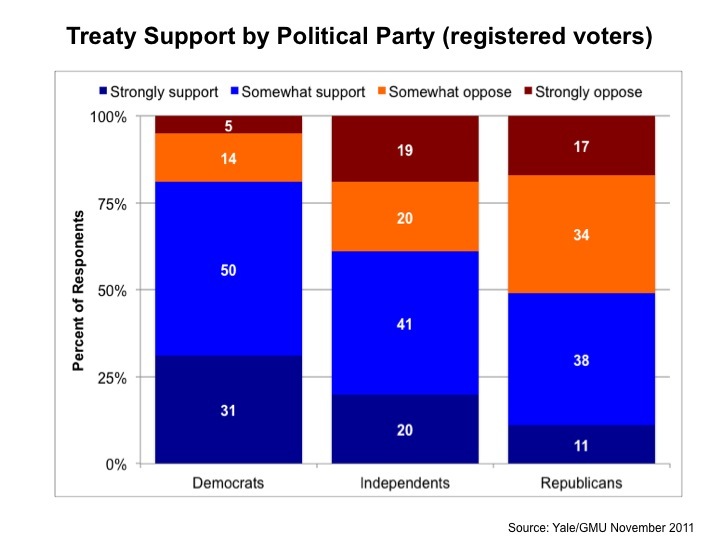 Breaking the result down by political party (among registered voters), we found that large majorities of Democrats (81%) and Independents support such a treaty (61%), while almost half of Republicans support such a treaty (49%).